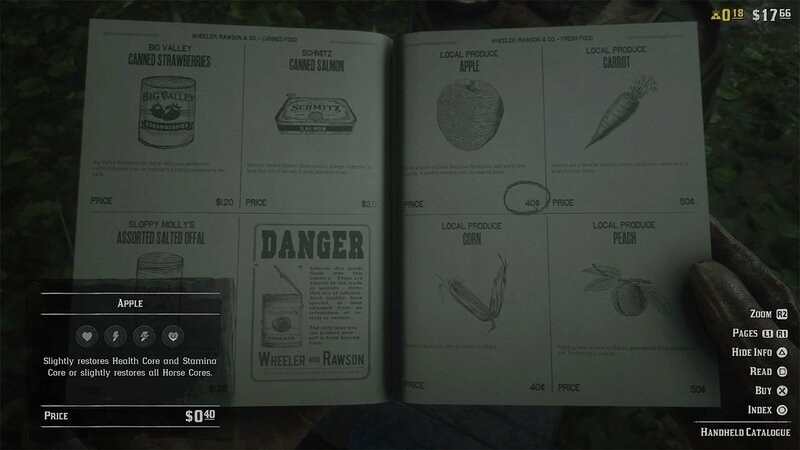 In Red Dead Redemption 2 Online, you have access to the catalog at all times. Compared to the single player mode, where you have to make your way to the general store to buy items. Even though you can buy items no matter where you are in the map, you have to actually go and collect them yourself. There are two main ways of doing this. They are heading to a post office, or collecting them from the deliveries box in your camp. In this post, we’ll specifically show you how to collect deliveries from the catalog at your camp. If you want to check out some more guides for Red Dead Redemption 2, you can check our dedicated area here. First, you’ll need to buy items from the catalog. If you don’t know how to do this, hold down the Left D-Pad button and buy items. Next, head to camp. It has a blue icon on the map. When you reach your camp, head to the lock box. It has an icon on the minimap, and looks like the image below. When you interact with it, you can collect the items that you have purchased. Remember, if it’s more convenient, you can also collect your deliveries from a post office. They can be found in most towns, indicated by a mail icon on the map. 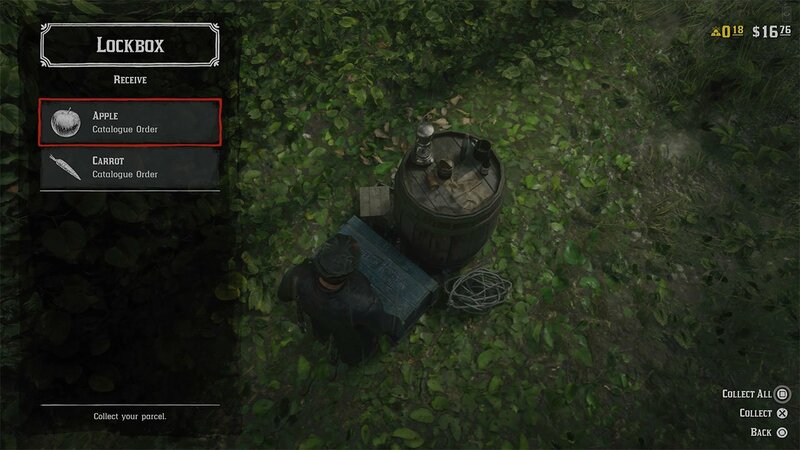 If the leader of a posse buys stuff for the lockbox at camp can other people in the Posse go in the lockbox and get it? I’m playing RDR 2 online and I’ve played several missions and done the hideouts and spared the leader. Every time I get out of a mission it says I have unopened parcels so I go and check (ever time) and there’s nothing there.